Use of sildenafil (Viagra, Pfizer) is associated with an increased risk for melanoma, according to an article published online April 7 in JAMA Internal Medicine. 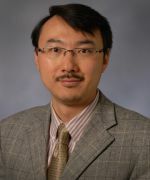 However, researchers, including the senior author, Dr. Jiali Han, caution that their study does not provide sufficient evidence to change clinical recommendations for erectile dysfunction (ED) treatments. They initiated their study after prior studies indicated that phosphodiesterase 5A (PDG5A) inhibitors, including sildenafil, may promote melanin synthesis, which itself may promote melanoma development. In addition, published research has linked sildenafil use and other PDG5A inhibitors to promotion of melanoma cell invasion, particularly in individuals who carry a mutation in the BRAF gene. Recent sildenafil users were significantly more likely to be diagnosed with invasive melanoma than nonusers in an analysis adjusted for multiple variables (hazard ratio [HR], 1.84; 95% confidence interval [CI], 1.04 - 3.22). Those who had ever used sildenafil also carried greater risk for melanoma (HR, 1.92; 95% CI, 1.14 - 3.22). However, neither group of sildenafil users showed an elevated risk for SCC or BCC compared with nonusers. The researchers adjusted their analyses for a variety of factors, including age, body mass index, tobacco use, physical activity, and childhood reaction to sun, plus melanoma risk factors, such as mole count, hair color, and family history. The age-standardized absolute risk associated with sildenafil use came to 81 cases per 100,000 person-years (216.4/100,000 for users and 135.4/100,000 nonusers). They conclude, "Our results should be interpreted cautiously and are insufficient to alter current clinical recommendations. Nevertheless, our data provide epidemiological evidence on possible skin adverse effects of PDE5A inhibitors and support continued investigation of this relationship." The current analysis did not include other PDG5A inhibitors, such as tadalafil (Cialis, Eli Lilly) and vardenafil (Levitra, GlaxoSmithKline), because they were not approved when the cohort study began. In an Invited Commentary, June K. Robinson, MD, editor of JAMA Dermatology and from the Department of Dermatology at Northwestern University Feinberg School of Medicine, Chicago, Illinois, writes that primary care physicians are in a position to screen for melanoma in older men, especially when prescribing sildenafil. "With the proportion of Americans who are 65 years or older projected to increase from 12% in 2005 to 20% by 2030, more patients cared for by primary care physicians will have melanomas," she writes. "The mental note to screen the man requesting sildenafil could prompt the physician to check the patient's face, bald scalp, ears, and neck." She continues, "It is appropriate to perform a biopsy if the physician sees a pigmented lesion with 3 of these features: a diameter of 6 mm or more, an asymmetric shape, irregular borders, and a variety of colors, ranging from tans and browns to black." Early detection may make melanoma a curable disease, she writes.